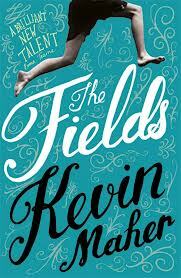 Both Kevin and Matt are newly recognised authors at this year’s festival – Kevin, breaking ground with his debut novel The Fields and Matt finally finding the acceptance his work deserves with The Humans (and we all know I loved The Humans!). Both men are personable and self-deprecating in equal measure, with the dark humour flying between them throughout the event making the audience feel more like theywere sat in the pub with friends than at a literary festival. However, the motivations behind each of their works are wildly different. Kevin Maher started his professional life as a film critic and, thousands of movies later, decided to move his family to a remote Scottish fishing village in order to focus on becoming a writer. Matt, in terms of The Humans, began reworking an idea that he had abandoned years previously on the back of the relative success of his suburban vampire novel, The Radleys. So what elements went in to making The Fields and The Humans the fantastic examples of fiction that they are? Real life, it would seem. 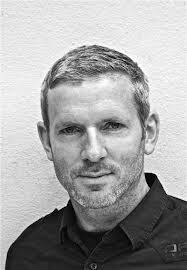 Kevin spoke openly about the semi-autobiographical nature of some of the more harrowing aspects of The Fields whilst admitting that his choice of a 14 year old boy as narrator was fueled by the innocence of children. "A child’s eyes can point out the absurdity of life," said Maher, they can enhance the "once upon a time-ness" that an adult voice simply can’t. 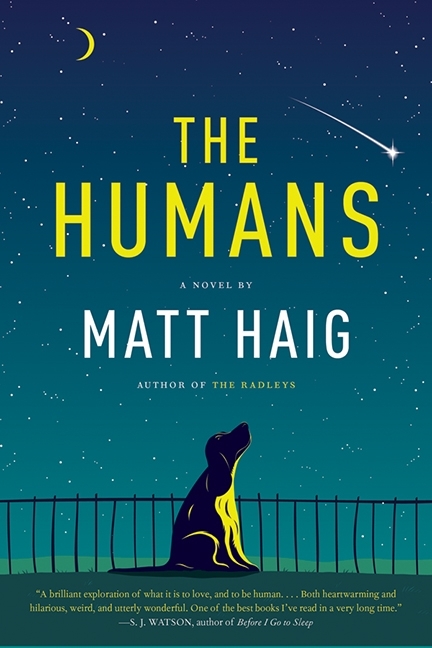 Unsurprisingly, Matt Haig’s past struggle with depression and anxiety helped to shape the final version of The Humans. "I remember not feeling like I knew who I was, not knowing myself… That’s difficult to deal with in your twenties when you should be finding out who you really are". 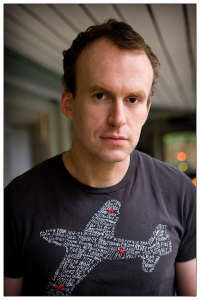 Neither author, however, felt that fatherhood had influenced their work – Matt Haig was writing fiction around families and relationships long before he was a father himself and Kevin Maher feels that "an exploration of fatherhood" is a literary red-flag that he would rather avoid. The Fields and The Humans are unusual in their approach to relationships and emotions in that they tell the truth. Both of their authors are brave enough to write life exactly as they see it and, thankfully, Haig and Maher seem to see life as a black comedy. Horror and grief peppered with humour make for two extremely enjoyable reads that do not shy away from the topics they claim to address. Both will make you laugh, cry and think in equal measure and, if you are lucky enough to meet either of the authors, the realisation of their fantastic ordinariness will certainly make you appreciate their work new levels. 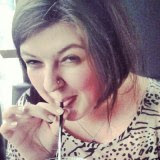 Lenore Appelhans, author of the weird and wonderful Level 2 will be known to lots of you through her excellent book blog Presenting Lenore. Articulate, thoughtful and quick to help those new to the book blogging scene (as she did with Splendibird three years ago when these here mountains were more...molehill-esque), Lenore is a bit of a fixture but we're not here today to talk about her blogging (nope, not even her purse-killing Dystopian months). Last year, Lenore emerged as an author, making publishing history on her way. Her debut novel tells the story of Felicia. Felicia is dead, has been for some time she thinks, and spends her days in a strange afterlife - the Level 2 of the title. To say more would be to ruin the experience of Lenore's story for future readers suffice to say that Level 2 is a dystopian tale like no other out there and will have you pondering the nature of memory and sacrifice long after you turn the last page. 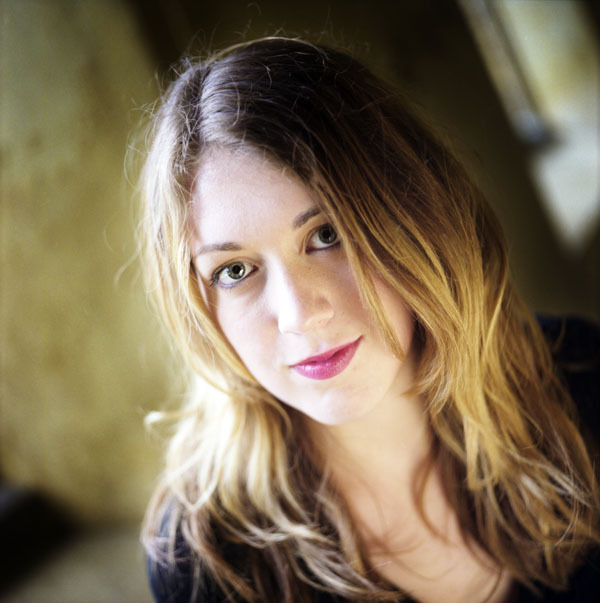 Lenore will be appearing at the Edinburgh Book Festival tomorrow, along with Sara Grant (author of the also awesome Half Lives) and to encourage those able to pop along, Lenore has answered some of our questions about Level 2. A year (or thereabouts!) on from the publication of Level 2, how do you reflect on your transition from blogger to author to blogger and author? It’s been a straddling of both worlds, really. 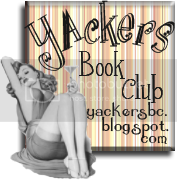 It’s most evident to me in my interactions with my debut author groups when I have the chance to explain what it is that book bloggers do and why. On the whole, book bloggers have been incredibly supportive of Level 2, and I really appreciate that. I know how much time it takes to read a book, write a review and then promote it on various social media sites – and that’s not even the half of what book bloggers do, as you know! Of course, with the writing and book deadlines, I’ve not had as much time to devote to the blog as I’d like. It’s been kind of a ghost town lately. Level 2 draws on a variety of mythologies and beliefs from Judeo-Christian faith to Greek mythology (with a particularly beautiful take on a variety of underground rivers) as well as what one might call the “cult of technology”. Did you know from the start that you were going to mix and match these ideologies and how did you go about combining them into a cohesive whole? The original seed of the idea had to do with the value of memories and imagining that memories were a kind of currency in the afterlife. In the summer of 2010, I was in Pompeii, and thinking about social media and dystopian lit in relation to that original idea, and the story sort of tumbled out of me. Of course I spent the next six months researching angels and the afterlife visions of various cultures and religions and letting it all percolate. The Morati and their hives and memory chambers were there from the beginning and certain aspects, such as the rivers, came in during the drafting process. The world that Felicia finds herself inhabiting is fairly complex. For those who haven’t read the book, could you surmise the situation and conflict that Felicia finds herself in the middle of? Felicia finds herself in a sterile, closed-off hive where she relives her own memories and rents those of others to pass the time. She’s questioning if this is all the afterlife has to offer when a boy from her past shows up, and promises to lead her to her boyfriend if she joins his rebellion against the architects of Level Two. There are sort of two main conflicts – one is obviously the external conflict of going up against corrupted angels and the other is the internal conflict of not wanting to face one’s painful memories, but that you have to do it if want the strength to move on. Level 2 itself is very distinct and your writing extraordinarily visual. When did you first “see” the design and how did you expand on it to create such a unique environment for your story? Were there sketches and drawings or did it all just appear on paper the way you saw it in your mind? One of the inspirations for the Level Two design was Tori Amos talking about bees and their link to the eternal (the fact that, for example, bees fly in a figure eight pattern, the symbol for infinity). I also pictured the beehive huts I visited once on the Dingle peninsula in Ireland, but in a more massive, futuristic environment. My husband’s brother is an architect and we sat down together and talked out the measurements and placement of memory chambers within the hive. He created a cross section of a hive for me, and it was incredibly helpful when I was writing about the characters’ movements within the hives. Talking of visuals, I believe you made publishing history by selling the book, the foreign rights and the film rights in one mega-deal. Well done! While we can see for ourselves how well the book is doing, can you tell us anything about the possibility of Level 2, the movie? I’ve heard it said that only about 1% of properties that are optioned ever actually get filmed. I don’t know too much about the industry, but I imagine it has a lot to do with the right people getting passionate enough about something to move it through. That’s a roundabout way of saying I know nothing about what’s going on with the Level 2 movie! In terms of publishing, I believe that title shenanigans have abounded since Level 2 appeared on shelves. Can you tell us what the new title of the book is and what led to the decision to change it? The title may never change in the UK because Usborne published it in a paperback original, but in the US, where Simon and Schuster has the rights and published it in hardcover in January, it is coming out September 3rd in paperback with the title The Memory of After. S&S had been getting feedback from sales that people browsing in bookstores were overlooking Level 2 because they thought it was a sequel. The publishing team want to give it the best chance to find an audience, and decided to try a rebranding. It’s actually something that S&S has done quite a bit, and quite successfully, so fingers crossed! Level 2 circles to a rather intriguing end, twist ridden yet entirely satisfying. However, I’m pretty sure that a certain old face is likely to appear along with one that hasn’t even appeared in Felicia’s afterlife yet… can you give us any clues as to the next instalment? Yes! The sequel (called Chasing Before in the US, currently untitled in the UK) takes place in Level Three. I don’t want to give too much away, but whereas the character arc in Level 2 is about Felicia finding redemption, it’s sort of the opposite in the sequel in that she’d led back down a path of temptation. There are a couple of big twists in the beginning that make Felicia question everything she thought she knew to be true. And fan favourites definitely reappear – no worries! Finally, I know you’re a prolific reader. What three books would you, so far, recommend from the 2013 releases and which three are you most highly anticipating? Only three? You are killing me! Here’s my list of 2013 awesome reads so far. As far as standalones -- I’ve been recommending In the Shadow of Blackbirds by Cat Winters to everyone for the atmosphere and the tragic love story. Oh and This Song Will Save Your Life by Leila Sales is so raw and honest and about the power of music to heal. As far as sequels, I was gutted by the endings of both Prodigy by Marie Lu and Star Cursed by Jessica Spotswood, so I’m impatiently awaiting the final books in those trilogies.I also can’t wait to read These Broken Stars by Amie Kaufman and Meagan Spooner. And as soon as I get the time, I am going to dig into Marisha Pessl’s Night Film. Many thanks to Lenore for answering our questions. And yay Tori Amos! Just saying. Lenore and Sara will appearing tomorrow, 26th August, at 6pm in the Baillie Gifford tent on Charlotte square - be sure to pop in if you're in the area. And pop back here later in the week for Polka-Dot Steph's take on Matt Haig and the Science of Superheroes from a brand new contributor. I was equally excited and apprehensive to see Patrick Ness opening the adult programme at this year’s EIBF – was this a successful author moving from one type of work to another or, more worryingly, was this the high-brow literary world claiming Mr Ness as their own with disregard for his previous work? I really needn’t have been worried. The topic of the morning was The Crane Wife, Patrick Ness’s newest work for adults based around the Japanese folk tale of the same name. A story fondly remembered from the author's childhood, it follows a man who encounters a gravely injured but beautiful crane. Upon nursing it back to health and releasing it, the man meets and falls in love with a beautiful yet mysteriously familiar woman. Ness treated the audience to a reading from the book, a beautiful passage describing the protagonist’s discovery of the injured crane, and then went on to discuss his attitude towards writing both humorously and candidly. 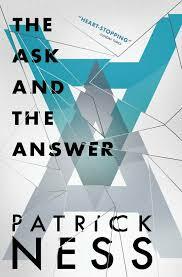 “Asking for permission is a terrible thing” said Ness of his move from young adult to adult fiction. “I write whatever I want … I decide. I have no snobbery”. 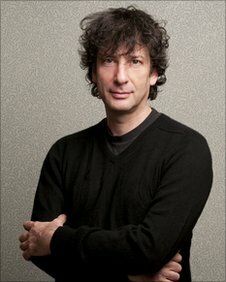 Even in promoting an adult work, he continued to be a fantastic advocate of young adult fiction, often referring back to both A Monster Calls and the Chaos Walking trilogy, leaving the audience feeling that his previous work was given the attention that it deserved. Throughout, Ness described what he felt the role of an author should be - that, no matter how fanciful a subject matter, the reader should feel completely trusting of the author to take them on a journey from A to B. When questioned on the harrowing final scene of A Monster Calls, he admitted to feeling equally sad writing it as most of the audience did reading it. "How arrogant of me to ask you to feel something that I didn't feel when I was writing. 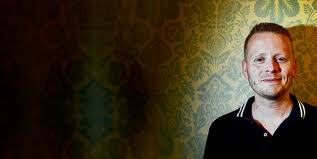 If you're writing a sad book and you're not sad, you're doing it wrong." 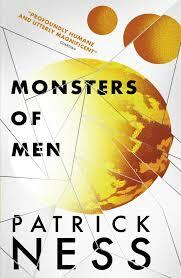 In under an hour, Patrick Ness cemented himself in my mind as a readers' writer, his focus always on taking his audience by the hand and leading them on a fantastic journey. An interesting and inspiring man, I could have happily listened to him all day. And I will definitely be reading The Crane Wife. 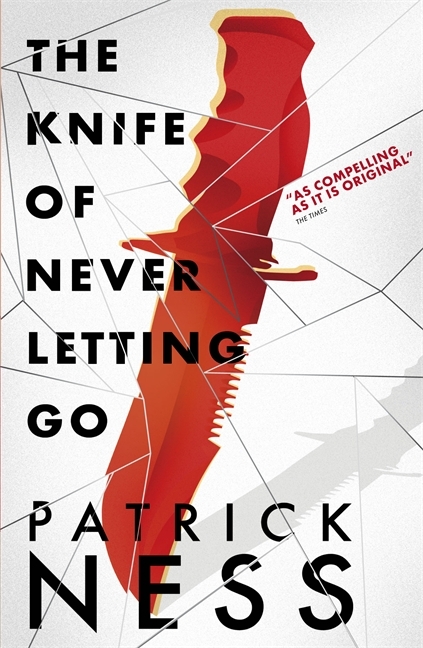 If that's not enough to have inspired you to read everything Patrick has ever written, then please check out our interview with him here, as well as our reviews of A Monster Calls, The Knife of Never Letting Go, The Ask and The Answer and Monsters of Men. 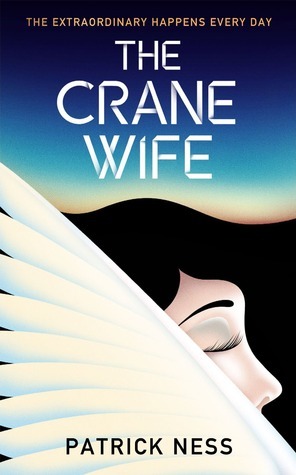 The Crane Wife was published by Canongate earlier this year and is everything they say it is here (or you could ask Splendibird, who is still trying to figure out how to talk about it). 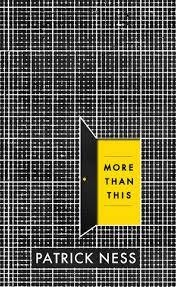 Additionally, Patrick has a new YA book out this September, More Than This which you can find more about here. NOW go and them. Here at the Mountains of Instead, we aim to spread our unashamed love of all things book-y to the far reaching corners of the internet. 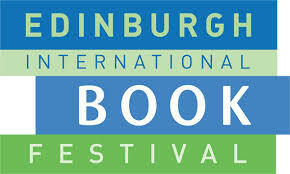 So if any of our gallant readers plan to head to the Scottish capital to sample the wonderful goings on at this time of year, here are the MOI team’s pick of this year’s Edinburgh International Book Festival. For more information on any of the events listed below (and many more) you can go here. Matt and Kevin discuss their respective successes with The Humans and The Fields and deliberate why exactly a combination of laughter and tears in equal measure seems to make for a sure fire hit. If Matt Haig’s Facebook going’s on are anything to go by, we can expect self-deprecating humour and frank, honest chat. 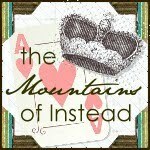 Here at MOI we do love our Young Adult and it seems that the rest of the world is beginning to feel the same. But what exactly has caused this shift, how much scope does the YA world provide and can we expect it’s current level of success to continue? 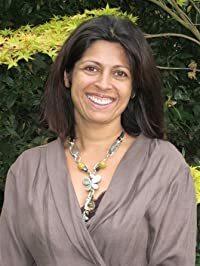 Authors Sita Brachmachari, Tayna Byrne and Keith Grey sit down to discuss this newly successful genre and why they love it. It is no secret that we are big fans of Cat Clarke here at Mountains of Instead. 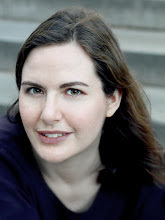 Her contemporary novels speak to teens in a way that isn't dressed down or tarted up but rather searingly real. Here she is joined by the equally talented and equally insightful Tanya Byrne. Where Have All the Brave Girls Gone? Kate Mosse, John Marsden and Samantha Shannon debate the ever-changing role of female leads in literature throughout the ages. From the Bronte sisters to the rise of Young Adult female heroines, our band of authors will explore why the brave girls seem to be trumped by the boys more and more. Margaret Atwood explores the Scottish psyche and what, exactly, lets it create such fantastic horror and mystery with Valerie Martin and Ian Rankin. Undoubtedly one of the biggest events of the festival this year, 2 of the leading voices in the world of literature discuss their successes, their inspirations, their plans for the future and just about everything else you could want to hear from such a prominent pairing. If you can’t make it to sunny Edinburgh this year, you can follow all things book fest on Facebook (Edinburgh international book festival), twitter (@edbookfest) and here at the Mountains of Instead where the lovely Polka Dot Steph will be the woman at the front, reporting back here with her thoughts and insights.